Wincanton Chamber invites you to an informal evening of networking. The hot topic of discussion will be grant funding from SSDC for development of digital products and infrastructure for your business. You could claim £500! 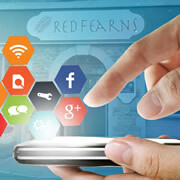 The Wincanton Chamber of Commerce is running a FREE digital marketing workshop tomorrow at Redfearns restaurant. You don't have to be a member, so come along and learn how to promote your business online. New officers were elected, and a new leadership team formed at the AGM of Wincanton’s Chamber of Commerce, held at Churchfields on 28th June 2017. With frustration growing over the lack of adequate broadband on Bennetts Field Trading Estate, Wincanton Chamber brokered a meeting between representatives of affected businesses and those of the ongoing fibre rollout administration. 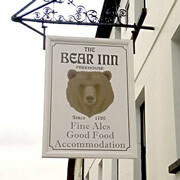 Wincanton Chamber will be holding its AGM on Wednesday 15th July at The Bear Inn (Sweetman Hall) starting at 7:30pm. 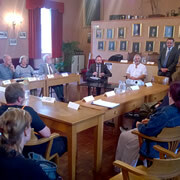 The agenda will include the election of a new committee and officers to represent the community over the next year. An opportunity for a clean slate and a new direction. Having re-branded from Wincanton Businesses Together to “Wincanton Chamber”, the group is holding its first meeting under their new banner on Friday 19th at The Bear Inn, Wincanton. The meeting will start at 6.30pm and all business representatives are welcome. 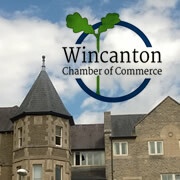 Wincanton Businesses Together (the Chamber of Trade and Commerce for Wincanton & District) is re-branding to “Wincanton Chamber”. 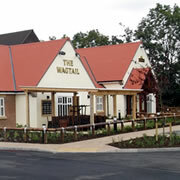 Join the launch event at The Bear on Friday 29th May. SSDC Makes Market Towns "Fight Over Scraps"
Why does SSDC give Yeovil the lion's share of a £100,000 grant, whilst other Market Towns have to fight for scraps from the leftovers? There's a growing feeling of dissatisfaction at the way in which SSDC administers finances. 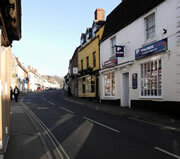 What can a small market town like Wincanton do when a double dip recession occurs? Well, it seems that proper prior planning can actually help when times get tough. Celebration - Can Wincanton Emulate the Olympic Feel-Good Factor? We all like to celebrate, because it’s good for us. Having just celebrated another annual event in my life, and having witnessed the greatest sporting show in the world, the UK, and Wincanton, is a great place to be. I hope the Olympics will be an amazing success, leaving long-lasting economic benefits for the people of the immediate area and the nation. But in the business world we need to be on our guard to protect the town's commerce. How important is it to regenerate our High Street? There is a lot of talk about it but what, if any relevance does regeneration have for us here in Wincanton, Castle Cary and towns throughout the area? If you live, work in, or regularly visit Wincanton, you are invited to a public meeting on 25th January from 4:30pm, to help us stop the introduction of parking charges in our town car parks. Wincanton Businesses Together wishes all at The Window a wonderful Christmas and another great New Year. With the festive season now well underway, news has reached us that staff at the Adams Cheese Packing Plant in Wincanton may face a very bleak Christmas. What can the business community do to help? Vandalism in our Communities - Who Pays the Price? Vandalism has created the headlines in all the media. Sadly Wincanton, Castle Cary, and Bruton are not immune to this sickness. Every incident involves collateral damage that can cause far greater damage to both the owner of the premises, and our community. Wincanton Businesses Together Needs You! The growth of membership has brought Wincanton Businesses Together to a point where we need more help. Can YOU spare a small amount of time? Join the committee to help us cope with recent growth and projected future growth. 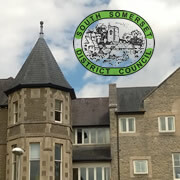 Our AGM takes place on Friday 13th May at The Balsam Centre. We invite all businesses to attend this special meeting and seminar. Our guest speaker, Mandy Cochrane, will speak about the role of Social Media in everyday business life. 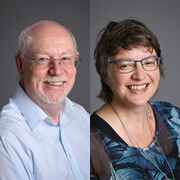 Crank up the pulling power of your web site and get more from online marketing with this FREE seminar on Friday 13th May at the Balsam Centre. Lots of tips and ideas to help you reach new customers.